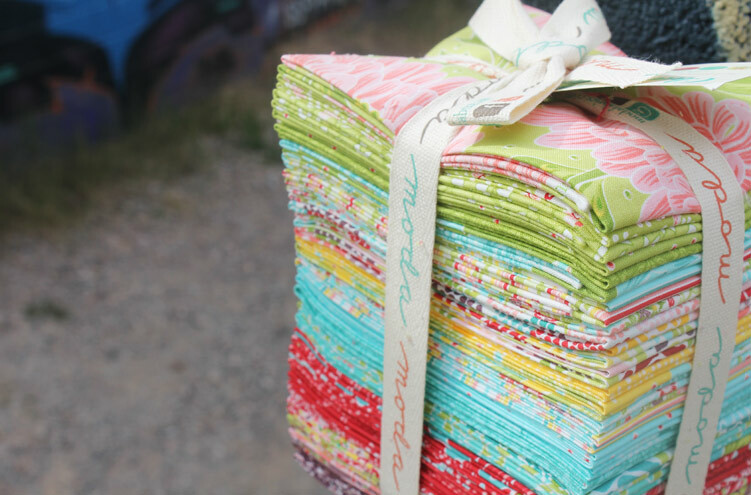 Free Pattern +Blog Hop Winners!! « Spell It With Fabric! AND showcasing our newest free pattern. 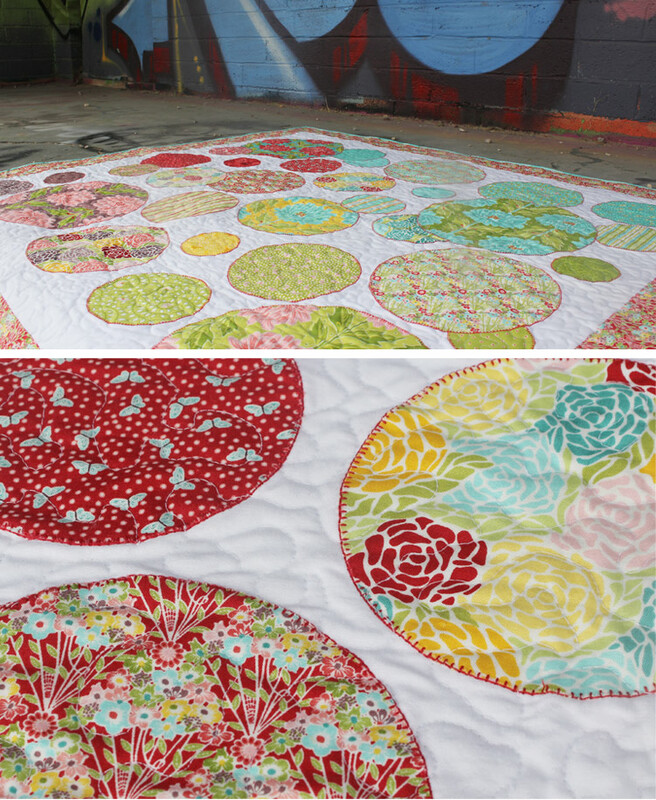 So, starting with the free Circle Quilt… We love it because it’s easy. It uses one layer cake plus background and border (and a few other misc. supplies). It’s a really nice way to showcase an entire line of fabric. 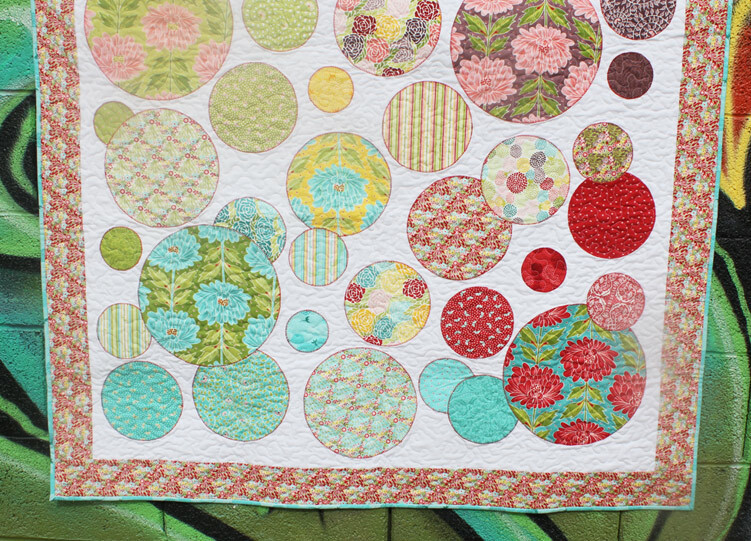 The whole Circle Quilt idea started rather randomly. 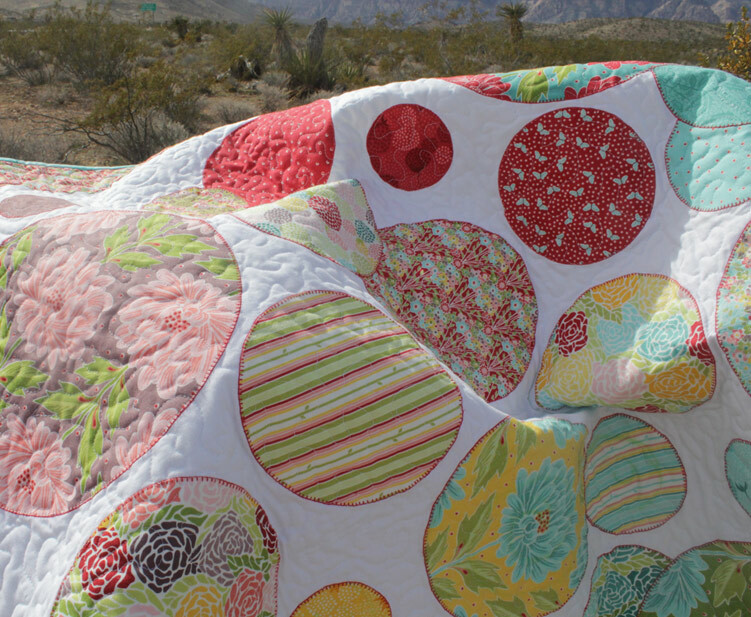 With this particular line, we didn’t receive our samples of the fabric until super late… so I decided to Photoshop a little quilt project together, and then stick it up on Pinterest. Well, it wound up getting passed around a little bit… and then I started having a ton of people emailing me about what pattern we used in the photo. Which was awesome! 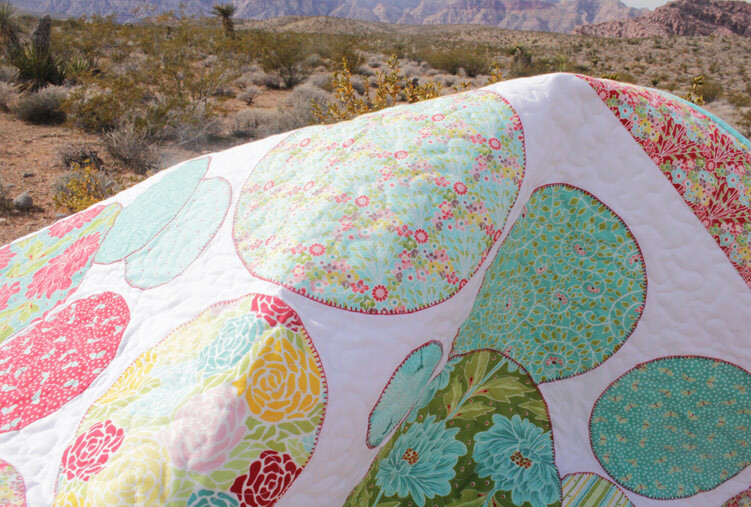 Because this was the first quilt I had ever designed… usually my mom and sister do the patterns. Anyway, my mom took this random Saturday doodle and turned it into an actual quilt pattern. (These photos are of the real thing that she whipped together. ) We think it would make an awesome quilt kit. You can also check out our other free patterns here on our website… we have quite a few. 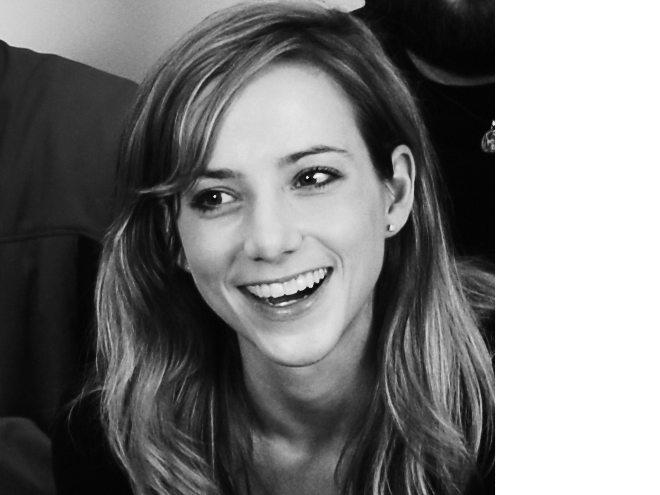 I have high res versions too, so email me if you need those. 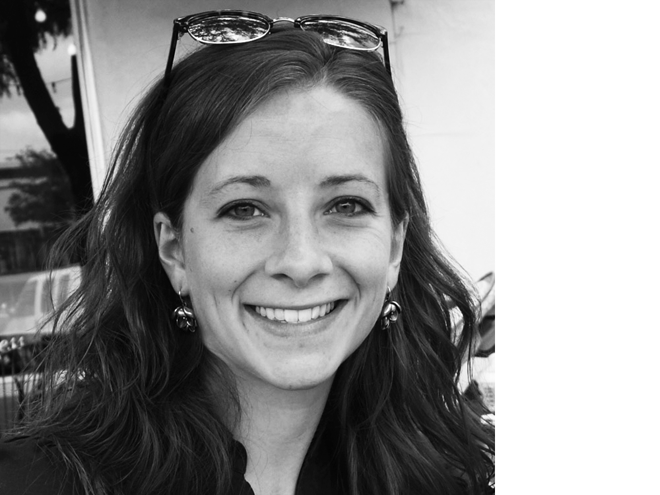 Now for the Blog Hop Winners… Blog Hops are so much fun!! We always love reading the wonderful comments and seeing how creative everyone is! And with this Hop we drew two winners. 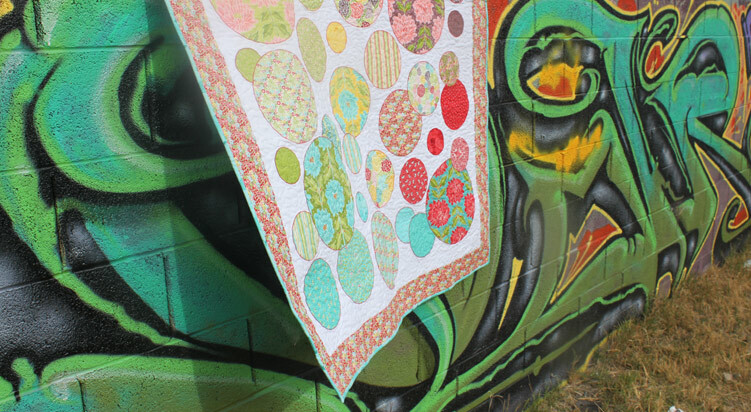 I’ve just emailed both of you, so as soon as you send me your address, your fabric will be in the mail! Yay! Thanks to everyone for stopping by… and be sure to find us on Facebook! Our newest line is totally adorbs and you’ll be the first to know about it if you keep up with us! Thank you so much for this pattern. It really is wonderful! Thanks to the Moda blog hop, I “discovered” your site (and a whole bunch of others!) – that are so amazing. It is obvious that Moda designers are so clever, talented and incredibly creative.